An interview with the co-founder of the social media startup uMentioned. 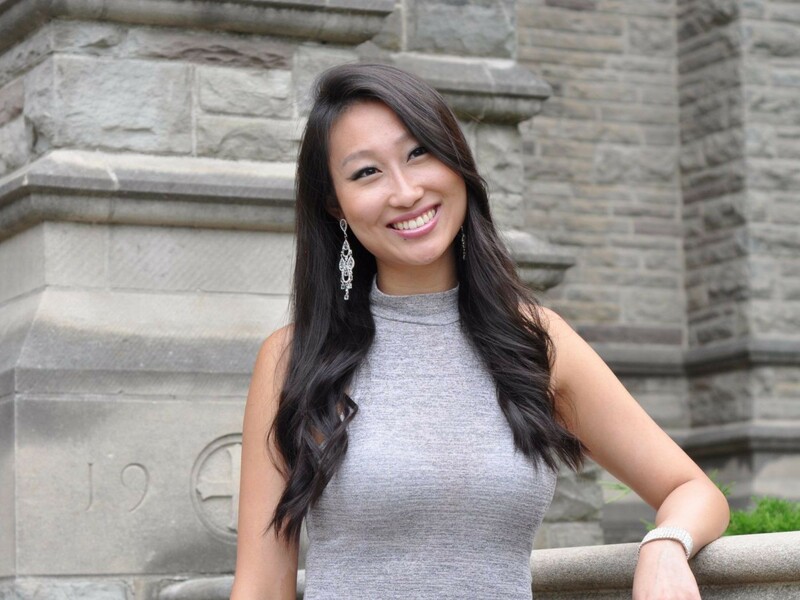 Alice Li is the co-founder of the social media startup uMentioned, a platform where University students can post anonymous messages for the rest of campus to see. Her venture created a new and innovative method of online communication for the next generation. Alice helped bring the venture to university networks across Canada. I took the time to speak to Alice about her journey balancing her career and being an entrepreneur in a competitive market. When I was developing this venture with other University students across the province, it was hard to motivate everyone to stay committed. We had school, classes, our own lives, and then, this unpaid start-up which we were essentially volunteering for. Building and maintaining a consistent team behind the project became one of the biggest challenges and we had high turnover. It was key to have a conversation with every newcomer about confidentiality, due to the nature of the job and handling students’ information. When Facebook started shutting down the profiles through which we operated (for not being a real human), I thought that we were going to fail. I could not imagine starting a Facebook Page all over again from 0 likes and re-building the fan base. But we did end up doing that and although it took a lot of time and effort, I eventually re-built the whole network. At the time, I had two options: either quit everything now, or go full-out and re-launch the whole project. As long as there is a slight chance of success, giving up is never the way to go! I truly believed that this project could bring a positive impact to the campus life across Universities. As an entrepreneur, it is important to be flexible with my time, and to be open to other people’s different ideas. This is not a 9–5 job where my schedule has patterns and predictability. When starting out this project, I gave in my attention whenever needed, even the wee hours of the night. You never know when an issue or challenge might pop up, and you need to be prepared to handle anything, any day. It really tests if you know your own priorities — your success will be hindered if you did not figure out your priorities. Being flexible with adapting to other people’s ideas is a challenging one because when you are dealing with a team of strong leaders, nobody wants to be the one to have to hold back. But a strong leader is also a strong listener — and I have definitely learned the importance of balancing both. I think what intrigued me the most was the infinite possibilities that we have yet to explore in the world of sociology, psychology, and the internet. We gave students this opportunity to be anonymous yet heard by a large audience, and I was curious how students will take advantage of it. I wanted to create something meaningful with the potential to have a lasting social impact, whether at the individual or community level. Will students gossip and spill secrets about others? Will students confess things they would not in real life? Will students seek help for their personal issues? Will students try to use it like a mini-Craigslist? It turns out, it’s a little bit of everything! It became a little online community of communication and interaction that skyrocketed in popularity. And above all, the best part about it is that students were able to find new friends, boyfriends, girlfriends, and add value to their offline lives! Everyone needs to find their own method of getting away from work and clearing their mind. Some people like to travel, go for a jog, hangout with friends, etc. It’s different for everyone but what’s important is getting to know yourself well enough to know what works and what doesn’t. For me, the best getaway activity is dance. It is de-stressing, fun, and a great way to stay active! I think everyone needs to find a hobby/activity they enjoy that is completely different from their work. Something that uses a different part of your brain, adds a different dimension to your life, and gives you a change in environment. And then trust me, once you get back to work, you will be more productive and feel more ready to work! My best tip for entrepreneurs is to to be able to face critique and feedback. When you’ve got what you think is the best idea ever, the last thing you want to hear the devil’s advocate. However, the most successful entrepreneurs are willing to hear feedback, both positive and negative. It is the best way to improve because it is hard to self-review without a third perspective. A successful entrepreneur is one who seeks other people’s opinions, especially the ones who challenge the fundamentals of the venture itself. Read more stories like this on InTheirShoes — Authentic Personal Stories.